Our geographic service area is generally Harris County and its contiguous counties (Brazoria, Galveston, Chambers, Liberty, Montgomery, Fort Bend, & Waller). Intakes are conducted Monday through Friday from 9:00 a.m. to 5:00 p.m. We highly encourage calling 713.313.1139 to do a telephone intake. Interpreter services are available. Foreclosures and risks of foreclosures have been increasing in Texas and throughout the country over the past several year. One of the principal causes for such increase is the failure of the sub-prime market. Another cause is the creative financing vehicles that were established to increase homeownership opportunities, and thereby enhance national wealth. In Harris County, Texas alone, there are approximately thousands of foreclosures each month, many of which are home mortgages defaults, and for non-payment of property taxes. 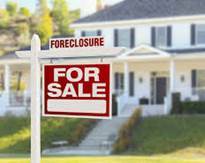 How you address the issue of foreclosure depends on why you are facing the problem. It could be the result of a catastrophic illness, loss of essential income, divorce or death, or increased interest rates that might dictate which actions you may need to take. If you are having difficulty paying your mortgage, act quickly. As soon as you recognize that there is a problem, take action. The longer you wait, the greater the chance that you will fall behind with your payments. Consider contacting your lender to re-negotiate your loan. Lenders often prefer to avoid foreclosure and they have options to help borrowers through difficult financial times. If you need assistance with a reverse mortgage, tax foreclosure or you need to clear title to property to take on a mortgage, home improvement expenses or simply to probate an estate we may be able to help. FOR LEGAL SERVICES from the Opal Mitchell Lee Property Preservation & Foreclosure Prevention Project call 713.313.1159 or complete the request for service form and fax it to 713.313.1153 or email it to ecattorney@tmslaw.tsu.edu. IF YOU ARE FACING AN IMMINENT DEADLINE YOU SHOULD CALL RATHER THAN FAX OR EMAIL. This program does have income qualifications. The project targets all children who face issues in multiple systems, including the criminal justice, educational, mental health and foster care systems. OUR SERVICES ARE AVAILABLE TO ALL STUDENTS REGARDLESS OF FAMILY INCOME. IF YOUR CHILD NEEDS ASSISTANCE PLEASE CONTACT US AT (713) 313-1130 or email manezami@tsu.edu. The TMSLIP operates within the Earl Carl Institute. There exists or potentially exists new evidence that would conclusively prove innocence (evidence admitted previously is generally not enough). the crime occurred in Texas resulting in a final the conviction; we do not take trial cases or cases that are still on direct appeal. Individuals claiming to have been wrongfully convicted may make a formal request for assistance by completing a TPIQ (Texas Prisoner Innocence Questionnaire) and mailing it to the Thurgood Marshall School of Law Innocence Project, Earl Carl Institute for Legal and Social Policy, Inc., 3100 Cleburne St., Houston, Texas 77004. TPIQs are also generally available in each prison library. It should be fully completed and legible or the request will not be processed. The ECI/MBK Clean Slate Initiative is a juvenile record expunction, sealing and non-disclosure collaboration between the Earl Carl Institute and My Brother’s Keeper that seeks to offer pro bono record expunction, sealing, and nondisclosure services. The SERVICES ARE AVAILABLE FREE REGARDLESS OF INCOME FOR CLEARING JUVENILE RECORDS AND IN CERTAIN ADULT RECORD CLEARING CASES. You may have to disclose your record when applying for work whether your case was ultimately dismissed or not. You may also have to disclose your record when applying for a professional license. We can help you remove these roadblocks through the Clean Slate Cooperative! TexasLawHelp – Information forms and other civil legal services free. Houston Volunteer Lawyers -- Houston Volunteer Lawyers is the pro bono legal aid arm of the Houston Bar Association. The program helps thousands of people each year with their most pressing legal needs, such as child custody, landlord/tenant, guardianship, and probate. Advocate Legal Senior Center -- Advocate Legal Senior Center provides direct legal representation of persons interested in seeking guardianship for a loved one who is incapacitated due to physically or mentally disabling conditions.